A hero is an individual who accomplishes extraordinary acts for the benefit of others; a hero is unselfish, seeks no recognition or glory. A traitor is an individual who, after harnessing treasures (information, objects, secrets, etc. ), switches allegiance and turns over the treasures. A traitor seeks rewards, recognition from his new allegiance. Which does Snowden fit in? The confusion in the public about Mr. Snowden’s action is triggered unfortunately by simplistic questions such as did Snowden do the right thing? Is Snowden a hero? He did not. He is not. Let me attempt to clarify. There’s been a tendency in the media to mix, to discuss together two very controversial issues, the Government Spying Activities (on US citizens) and Snowden’s Action. I will emphasize again, those are two very different issues, not one. Let me state for the record that I am not a “Snowden critic” as indicated by the label attached to anyone who disapproves of his action. Just like most media professionals – and everyone else in the country – I am against the government spying activities on its citizens. It is no small problem. It is however an issue that we, in the media, knew about well before Snowden’s revelation; what we didn’t know – and some may shrug it off – is the scope of the spying activities. Snowden filled that blank. Does that make Snowden a hero? Absolutely Not! He probably would be under different circumstances. Mr. Snowden was an employee of an organization who, just like all other employees, was to abide by the rules and guidelines of the organization, and in that particular case by the oath he took to protect the information he collected, received and entrusted. He failed to do that. Most people who cannot or do not perform the job for which they were hired are terminated, not elevated to hero status. Imagine that one of your employees – the lead person doing research for a story you’re working on – collects all notes and documents related to the story, abruptly leaves your organization and walks up to one of your competitors to reveal the story, either because he doesn’t like the story or the way you go about it. Imagine that for a moment. Would that employee be called a hero? Of course not! That’s exactly what Mr. Snowden did. It was much worse however, he worked for an agency whose job is to ensure the security of the nation. Unwilling to go down in history as a hacker (or low level analyst) as some personnel in the government – including the President of the United States – have labeled him, Mr. Snowden took the opportunity during an interview accorded to Brian Williams of NBC to elevate his status or set the record straight; Mr. Snowden stated in the interview that he was trained as a spy. As a spy, Mr. Snowden would know the importance of keeping information (collected, received or entrusted) secret. As a spy, Mr. Snowden would know that to expose any information could jeopardize ongoing operations, could cost lives. As a spy, Mr. Snowden would know that his actions impact others and carry consequences, may even be catastrophic. The more Mr. Snowden talks the more obvious it becomes that he is a traitor and should be treated as such. Whatever one’s position about the revelation brought forth by Snowden, one must not be naïve enough to support the action of an employee who took matters into his own hands because he disagreed with what was done or how it was done. In that particular case, Mr. Snowden violated the oath he took NOT to do exactly what he did. No objective journalist can go along with that. As an employee, Mr. Snowden was bound by the employer’s rules and guidelines, just like everybody else. So, in the discussion on government spying activities, we, in the media, must learn to separate the issues even when it seems unfavorable; we must abide by the objectivity demanded of the profession. We must not support the actions of employees – especially those who work at agencies that ensure the security of our nation – who violate their employers’ rules, guidelines or ignore the oaths they took. It is true that Mr. Snowden’s revelation has reignited the conversation about government spying activities; that does not however warrant Mr. Snowden a place among heroes. Not only the disclosed information has strained US relations with its allies, it has already cost our government (the taxpayers) hundreds of millions of dollars in re-evaluating security strategy around the world and protecting our agents. In addition, it is estimated that his revelation may cost US firms close to $30 billion dollars in lost businesses. Could it be the cost of heroism? No wonder no one wants to become a hero these days. While we must continue to pressure our government on the spying issue, we must not condone Mr. Snowden’s action; not only did he violate the oath he took to protect our country’ secret operations around the world, he sets a very bad precedence for others in similar jobs. Mr. Snowden is no hero and should be dealt with accordingly. 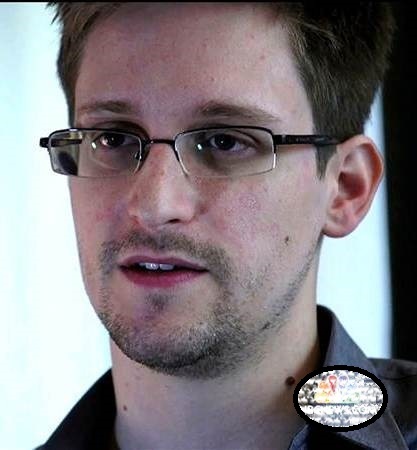 Do you think Mr. Snowden is a Patriot? ← Kim & Kanye Are Married – What’s Next?